Is Propane a Green Gas? 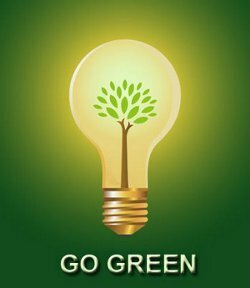 As is the case with many of us today, “going green” is becoming more and more routine in our daily lives. Whether it is walking instead of driving or simply turning the lights off, each of us is taking little steps to reduce our carbon footprint. When it comes to propane, there can be a lot of unanswered questions as to its environmental effects. Thankfully, our North Texas propane experts at Northwest Propane can answer them for you. Is Propane a “Green” Gas? The most common question regarding propane gas would seem to be: is propane a “green” gas? Yes! Propane is one of the cleanest burning fossil fuels. Approved by the Clean Air Act of 1990 as an alternative fuel, propane is not harmful to soil or water. Propane-powered appliances produce less greenhouse gas emissions than their electric counterparts. Even when it comes to grilling, propane proves itself as the go-to green option. A charcoal grill releases 105 times more carbon monoxide into the environment than a propane-powered one. This makes the choice when it comes to cooking extremely clear. Water heaters also prove no contest for propane, as electric water heaters emit 2.5 times more greenhouse gasses than our propane alternatives. At Northwest Propane, we know you have a choice when it comes to your energy options. Be it for a grill, fireplace, heater, or any other essential appliance, propane has proven itself as an extremely efficient, environmentally-friendly option. If you have any questions or concerns, feel free to give our Dallas TX propane company a call today, or contact us online for details.